President of Data Integrity. 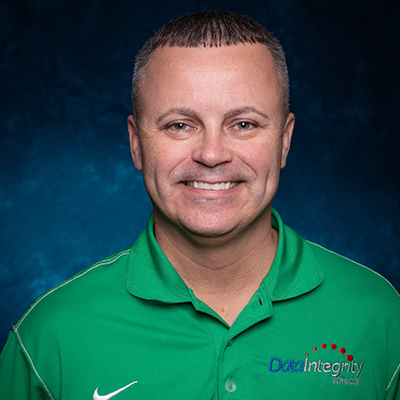 Sam started Data Integrity in 1997 with the goal of developing an Information Technology consulting firm that places the client needs first. He enjoys fishing, camping and of course watching the FSU Seminoles play on Saturdays. He and his wife Kathy, have been married for over 35 years and have 3 kids together and a bunch of grandkids. As you can guess, Christmas time is kind of expensive. Kathy is the Office Manager and is directly responsible for all things associated with finance and HR. She enjoys boating, fishing, and camping, but mostly loves spending time with her grandkids. She is a fan of FSU and on football Saturday can be found with her favorite programs “Game Day “and college football. 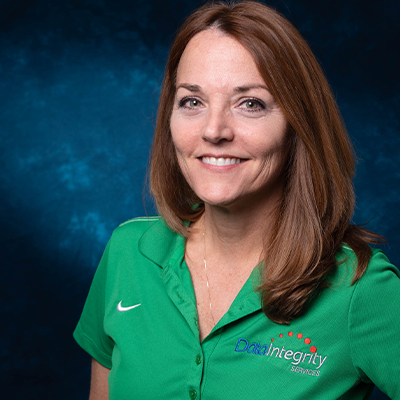 Lori has been with Data Integrity for over 15 years. Her position as Client Liaison and Marketing Director has been critical to the success of Data Integrity. Lori and her Siberian Husky loves to walk Lake Mirror. 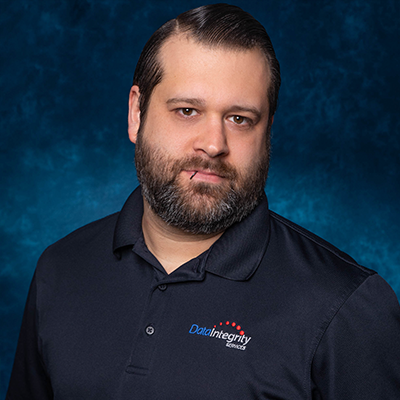 As our Managed Services Coordinator, Eric Dionne manages the primary help desk and assures that all tickets are being scheduled and resolved efficiently. He also aids with client onboarding by working with the client and the technicians to provide a seamless integration of the necessary software into the clients environment. 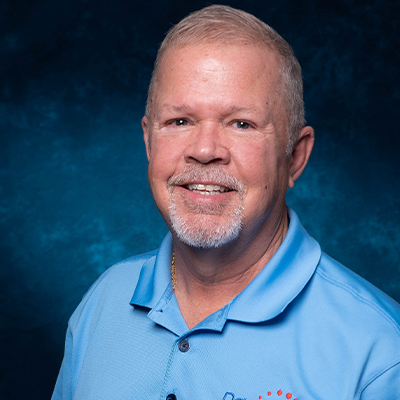 He is a graduate of Keiser University where he received the associate’s degree in Information Technology and his bachelor’s degree in Managed Information Systems. 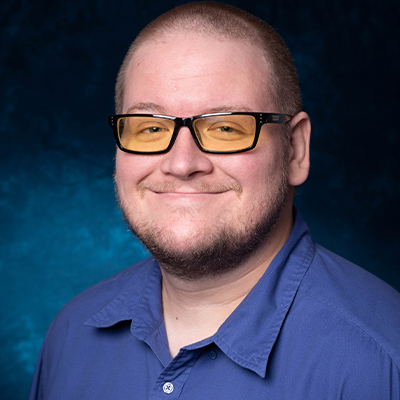 He was member of Phi Theta Kappa, was honored as the “Associates of Science Graduate of Distinction” and continues to be involved with his school as a member of the Advisory Board for the IT department. Joshua joined Data Integrity Team shortly after graduating from ITT Tech. He has been with Data Integrity since 2006. Having started as an entry level engineer, he has moved up to VP of Operations. Josh holds over 10+ Sophos Certifications including Architect Certifications in UTM & XG Firewall. He is married to Ashley Heard and has a passion for FSU football, and anything outside. During football season, you will see Josh glued to the TV watching his Noles play football. 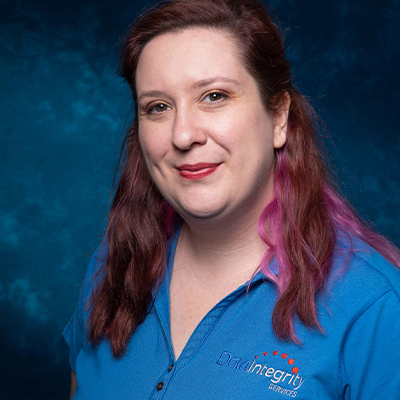 Megan recently joined the Data Integrity team as our Customer Support Specialist. She brings over ten years of experience in Customer Service and Administrative Support. In her free time, she enjoys knitting, spinning, and dyeing yarn, K- and J-dramas, reading obscure original fiction, and over-analyzing favorite TV shows on the internet. Damon is the Senior Engineer and lead resource on researching advanced solutions for Data Integrity Services. He possess a diverse technical skill set proven through education, work experience, and self-guided research. A lifelong learner and especially enjoys being able to teach others. Damon utilizes exceptional soft skills when supporting clients and peers. Inquisitive by nature with a concentrated focus on network security and creative problem solving. Damon is a graduate of Polk State College where he received an associate’s degree in Computer Network Technology (Honors). He holds the Sophos Certified Architect XG and Certified Architect UTM9, CCENT, Dell EMC Information Storage Associate (Version 2) and the CompTIA A+ certification. David was first introduced to our team as an independent contractor back in 2013, and has since carved out a place in our family as a level 2 technician. 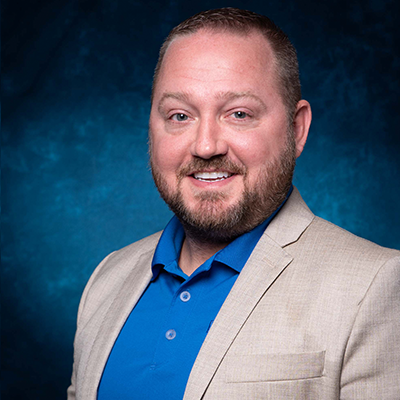 He earned his IT credentials at Keiser University’s Lakeland campus, and holds various certifications from Sophos and other partners including Sophos Central Endpoint, UTM/XG Firewalls, and Safeguard/Reflexion Encryption products. David and Betty, his wife since 2010, can always be found at the movies watching the latest Marvel movies, or at home enjoying the latest episode of Game of Thrones, Better Call Saul, or Fargo. David is also an avid PC gamer, as well as often entertaining other geeky hobbies such as 3D printing. David is known around the office for his constant stream of Amazon deliveries, especially around the holidays. 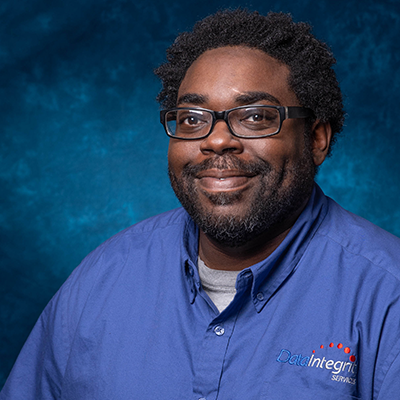 Brandyn joined Data Integrity Services in 2016. He is a graduate of Polk State College. He is an engineer that holds both the Sophos End Point and UTM / Firewall certifications. He is soon to be married to his fiancée Randi. With two boys running around, Brandyn is a busy man at home. 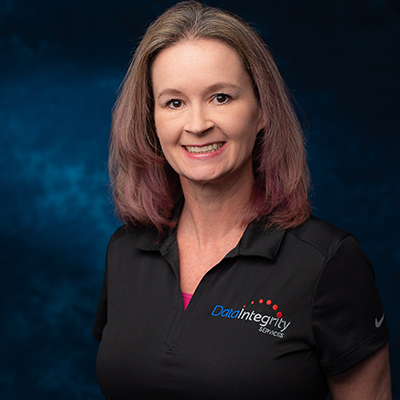 Bri joined Data Integrity after taking a short hiatus from her 20+ year IT career. She loves learning new technologies, troubleshooting, and problem solving. 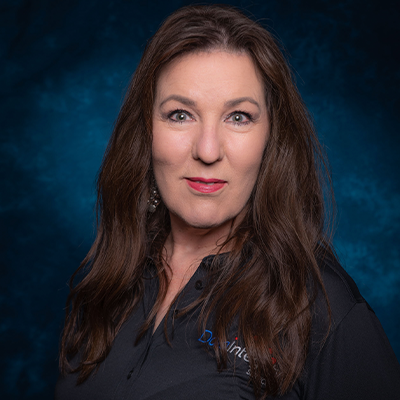 Along with her bachelor’s degree in Computer Science and background in Customer Service, she has obtained various industry certifications; including Microsoft MCP, Citrix, and most recently Cisco CCENT. Her often geeky hobbies include; breeding Yorkies, traveling, scuba diving, solving puzzles and escape rooms, cosplay, video and board gaming.